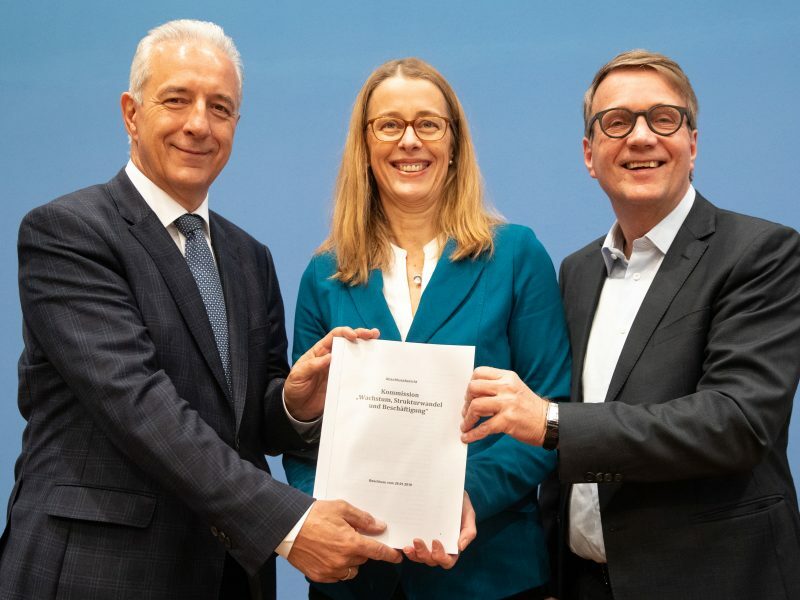 The Commission’s latest models show there will still be 371 terawatt hours (TWh) of coal power connected to the grid in 2030, while Sandbag estimates just 198TWh, which accounts for the discrepancy between their two targets. Suzana Carp, Sandbag’s EU expert, said at the study’s launch event that “it’s good to see even a conservative model providing a higher number”. Two other scenarios showed that tweaks to policies and more ambitious phase-out dates could lead to cuts of 53% or even 58%. The study concluded that “there is a substantial opportunity for confidently adjusting the existing 2030 target, to go beyond the new business as usual of a 50% cut”. Increasing the so-called nationally determined contribution (NDC) for 2030 is supposed to require unanimous approval from the member states, which turns it into a politically-charged issue. 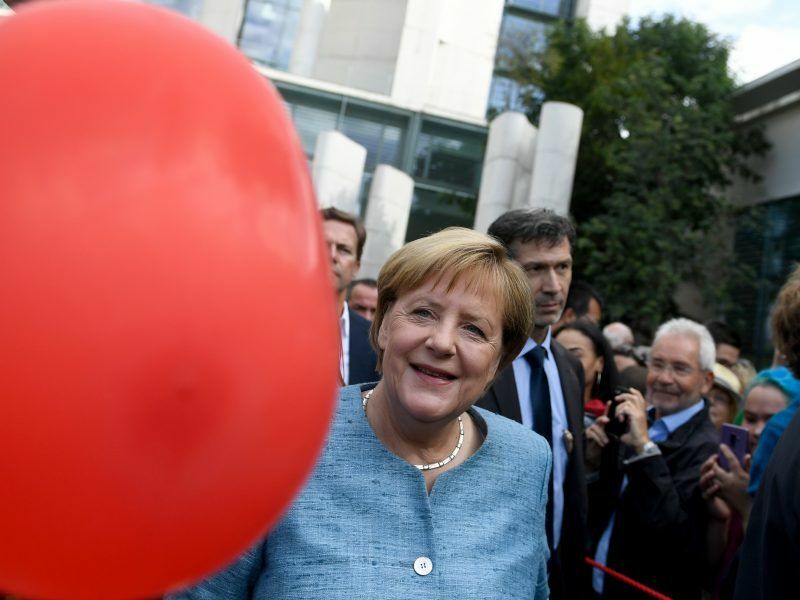 EU Commissioner Miguel Arias Cañete tested the waters last summer but leaders like Germany’s Angela Merkel made it clear that increasing the NDC was off the table for now. There are plenty of other critics still opposed to bumping up the target: Central and Eastern European countries are generally against raising the EU target, while climate-progressives like the Netherlands and Sweden consider 45% too low a benchmark. Members of the European Parliament are also in favour of something more ambitious. In a resolution adopted on 14 March, they called for the NDC to increase to 55%. 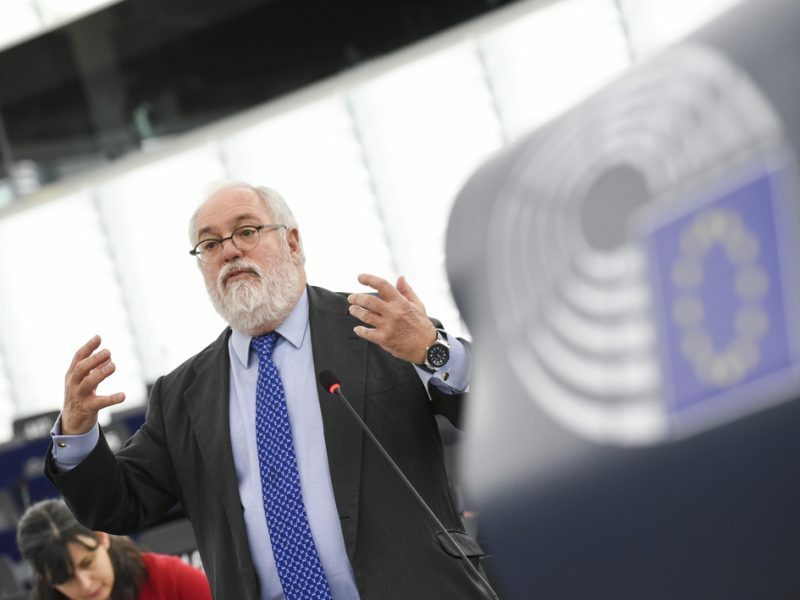 Cañete had reportedly hoped to secure an increase to 45% before last December’s COP24 summit in Poland, in order to strengthen the EU’s position as a climate champion, but abandoned the idea when it became unfeasible. Still, the Spaniard used the 45% benchmark to calculate the figures in the European Commission’s landmark 2050 long-term strategy, published ahead of the December UN climate summit, which made the case for reaching net-zero emissions by mid-century. EURACTIV understands that the current Commission has not totally abandoned hope of getting the 45% figure approved, in order to boost the chances of getting full backing for the 2050 plan and avoid turning up empty-handed at the UN general assembly in September. At last week’s EU summit, national leaders backed the Commission’s suggestion that Europe’s economy should hit net-zero emissions but failed to put an actual date on it. 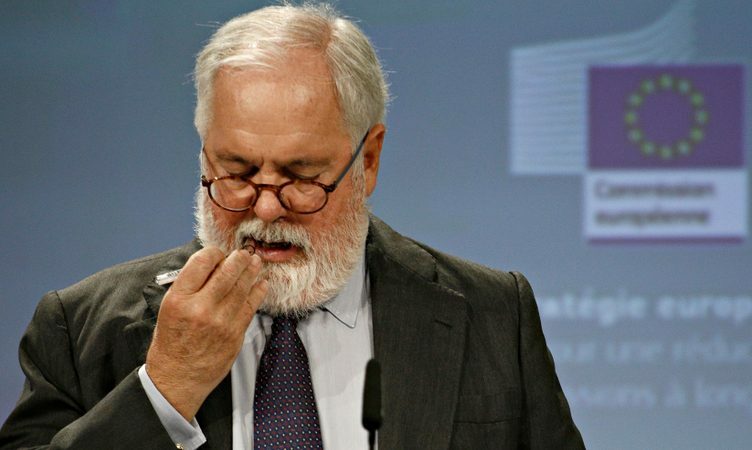 Commission sources told EURACTIV that, despite appearances, any conclusions on the climate plan at this stage, following its debut in November, represent progress and there will still be time to convince more sceptical countries. 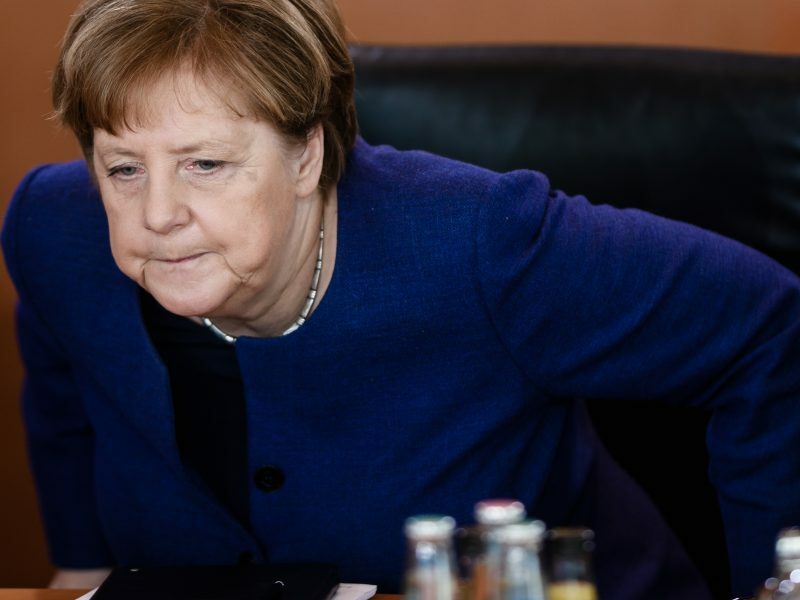 The group of sceptic nations includes usual suspects Poland, Hungary and the Czech Republic, as well as Germany, which opposed including 2050 specifically in the summit conclusions. 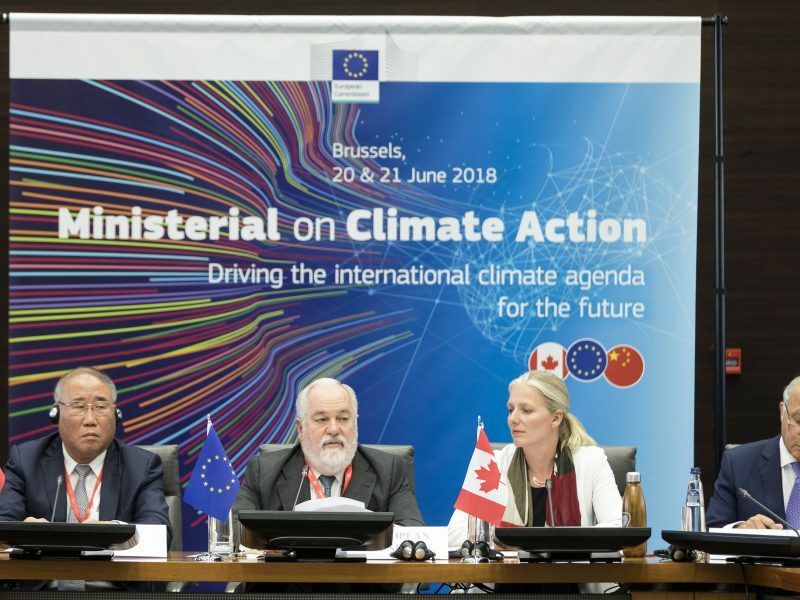 A crucial event for climate is in May, when EU leaders are expected to talk about the strategy again at an informal meeting on the future of Europe in Romania, and then again at a regular EU summit in June. 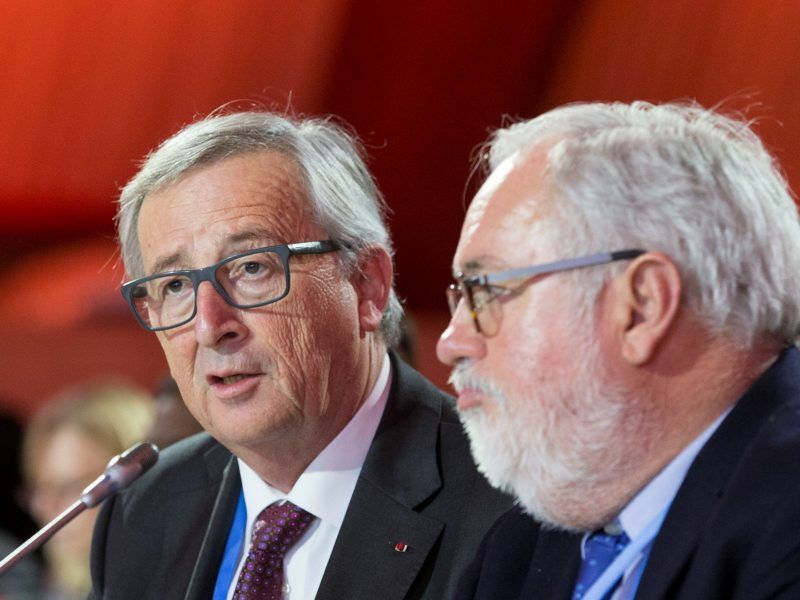 Commission officials expect EU leaders to endorse the climate plan at the October summit, so that the bloc can submit it to the UN before the next COP meeting in Chile. The only thing lacking in all these figures is (for some people) a misunderstanding of ‘the possible’. This may sound like an oversight, but what is possible with limited knowledge is much less than what is possible for someone with a rounded appreciation for the subject. Lets take the 55% emissions reduction target. This is a significant step up. The Commission may wish to back it; but lets be honest – there are two full cabinets to go by the time people are going to be asking questions, so its in their interests to hold high ambition. I think we should start to listen to people who say – ‘yes this is possible’. When all the alternatives either don’t make sense or aim so low that its no wonder that we even arrived at what we have (which is quite desperate in terms of societies ability to make the sweeping changes necessary in order to avert what is now officially “an existential crisis”). We need to look at what we have and maintain a sense of bullishness rather than the usual ‘well, I have very low ambition and this is what I think the lowest possible BAU is going to turn out like – etc’. There is a €10 billion war chest being put together from EUAs. If the cost of EUAs keeps rising, then the mechanism works perfectly; industry desperately wants to reduce emissions and are consequentially very interested in any EU program to alleviate this burden – given that they both know whats possible and so does the EU. Otherwise the thing is simply sitting in the toilet bowl until it is flushed. So its important we actually use the levers we have, and are fully aware of the cheapest and fastest methods of getting where we want – a lot of funding for industry in the form of CO2 pipelines for grey hydrogen users, which will sequentially move to natural gas producers as the price goes up. What we want to see is the most clued-in and technically capable industrial users switching to hydrogen as a matter of course, at very little expense to themselves. The onus then lies on smaller producers to maintain efficient practices, and to have necessary mechanisms to alleviate their burden as larger producers are given CO2 pipelines and other emissions-saving technology. With €10 billion it should be possible to satisfy a large number of relevant stakeholders, perhaps looking at the Swedish example of ‘high carbon prices’ all the way to small business owners, once we pass meaningful (50%) thresholds on the renewable quotient of the energy they consume. Initially, smaller businesses should be immune to these carbon prices, with larger industries both paying more and receiving more in return, in order to weed out the most inefficient and polluting business models. I think we are going to have to accept that there is an element of Darwinian theory here, and we need to protect small business first. So to reiterate; I completely agree with Cañete; and it is wise to do so: we can reach the higher targets if we do not constantly want to settle for lower targets which we are not even responsible for implementing ourselves. What we have to do is make sure the money is in place to allow industry to make the changes necessary, and make sure the entire process lines up – what we want to do in the future should be made possible with the support and tactical implementation of policies put in place today; there should be no ambiguity regarding this. We certainly can reach 55%, and this is a keystone argument in any debate regarding what needs to be done within realistic timescales. And to apologise; with reference to my ‘flushed’ statement – I think its important to understand that this money has been available before and has been paid out to heavy industry; but without proper implementation and planning involved which has lead to even greater economic challenges for smaller European industry players; including those who may endorse and enact lower-carbon measures as a matter of course. The system needs serious thought and a special body set up because the danger of this happening again is so high. It is in believing that this information doesn’t get out that Europe truly does lose so badly. Its disingenuous to think that anybody but corporate leaders and their shills are responsible for the current sorry state of affairs, as they round a corner on another dramatic turn for the worse, and the egoist, moneyed classes weaponise a ‘free-range mentality’ with more thoughts of hiding from the decades of terror they willingly endorse. We certainly need thought; and individuals such as Mr Parr are always on hand to lend that also, Sam.